It’s that time of year again. Time to worship at the altar of our retail god. 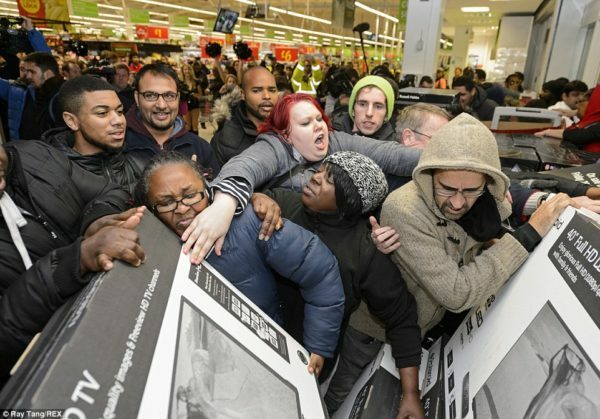 For real though, since it’s Black Friday again we decided to explore consumerism and its moral impact on society. It’s clear enough that we live in a consumer driven society here in the US, but is it the foundation on which we are built or is it the thing that’s killing us slowly? Or is it both? It’s probably both.